This time, our theme for the Open House 2017 reminisces “Kampong Games”, a tradition that requires no batteries, screens or WiFi. We’ll bring you back to an era when game play transcends beyond culture, ethnic or languages, and anyone can just participate. So, put away your tablets, smart phones and gaming consoles to join us in the most common traditional, classic games of 70s, 80s that have become part of children’s childhood in Singapore. Visit our traditional games and snack stalls, refresh your childhood memories with your children, and learn more about life as an Alphabet Playhouse kid! No matter what part of the world you’re from, we hope that Kampong Day will help the young get a glimpse of how their parents’ growing-up years in the past used to be – with no gadgets and internet. Register now with the form below and get a goodie bag worth $10 when you participate. Try your hand at our traditional games and snacks. Redeem additional goodies and prizes when you complete your game card. Receive a free goodie bag with memories from the past. Visit our facilities and chat with our friendly preschool educators. Get great parenting tips and advice on raising confident children. 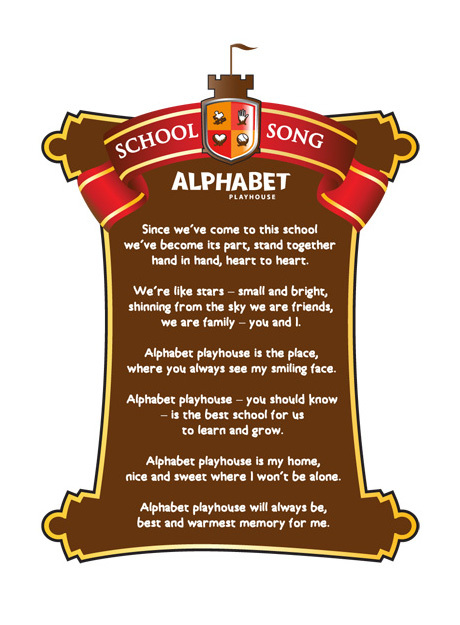 Learn more about life as an Alphabet Playhouse kid and understand our engaging curriculum. Suitable for 1- to 6-year-old children. Registration for the event has now closed, please stay tuned for our next event!